Lightweight wheels and smooth tires of road bicycles combined with upright position and flat bars, hybrid bikes are great all rounders. There is no 100% definition of what a hybrid is. It’s what works for you making it perfect for all purposes; commuting, touring and casual riding. There used to be a time when choosing which to purchase was a difficult decision, with so many different varieties each bike with their own contrasting specialties, it was a case of selecting a bicycle that may have only fulfilled part of your requirements; the solution? By combining all the critical elements and features of each major variety, a happy medium can be reached, creating something that meets all aspects. It has revolutionized bikes around the world, appealing to the masses with its efficiency, multi-functionality and simplicity. Although there are differences between manufactures and models, there are some fundamental basics that each hybrid bike comes equipped with. As may be expected, unlike the knobbly tyres of a mountain or the smooth tyres of a road bike, it comes equipped with a tyre that is a combination of the two. 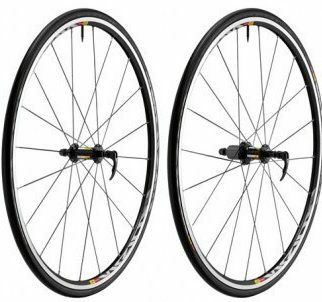 Whilst it retains some of the grip and durability offered by a mountain bicycle, it’s tourer-like thickness and large size is reminiscent of a road bicycle, resulting in a perfectly balanced all purpose tyre. A lot favour a large size of wheel, known as a 700c. Also commonly use on racers, due to its size the 700c maximizes amount of distance that can be achieved whilst still exerting the same amount of effort than on a smaller wheel. For the everyday user the larger 700c tyre is an absolute essential. Although the shape and style of these bicycle frames may vary, they are undoubtedly closer to that of a road bicycle, being lightweight and with reduced distance to areas like the wheels. Of course these frames won’t need to undergo the same rigours as mountain bike frames will, so this is an area distinctly lacking in mountain biking influence. With comfort in mind the frame also features a shortened top bar, leading to a superior quality, comfortable ride. The rest of the components that make up the remainder differ by brand and model, that’s not to say they’re any less important though. It pays to take stock of some of the more important features like the handlebars and brakes which can have a bearing on the responsiveness and overall comfort of the ride. Dropped handlebars leads to a more aggressive and streamlined riding position. When it comes to deciding, there is no right or wrong answer, it boils down to other factors, your day to day lifestyle being a prime example, luckily these differing specifications can be grouped into what’s known as sub-categories. What About The Ladies Hybrids? Of course there is an extensive range of bikes for men, but what about women? Traditionally, women’s two wheelers have featured a lowered top bar, making it easier to climb on and off. It’s also widely rumoured as being a feature of a bygone age when a woman’s respectability may come into question given the long skirts worn at the time. Putting aside such speculation, women’s modern day versions are specifically designed to accommodate their anatomy, with the two main areas being the saddle and the leg to hip ratio which differs from men’s frames. All the top brands have now recognized the importance of this and now offer exclusive women’s bikes, to ensure a perfectly balanced tailor made bike riding experience. Flat and Sloping Bars – Get Your Leg Over! Try out the flat top bar, you just need to swing your leg over! On the other hand they do offer a feminine style which if you are a lady of a more modest persuasion might be suitable for you. Also this kind of frame style is better for older women as it requires less of a high kick when mounting. The same applies to beginners who might not be so comfortable with a combination of a straight top bar. Traditionally women’s and ladies bikes were defined by the sloping top bar which allowed women to mount and dismount in a modest fashion. If you are female there is no real reason why you shouldn’t buy a flat bar but this will probably be within the smaller frame range. Victoria Pendleton really boosted the women’s market when she released her own lightweight brand aimed squarely at the female market using her profile as a top Olympic cyclist to boost the awareness of the brand. 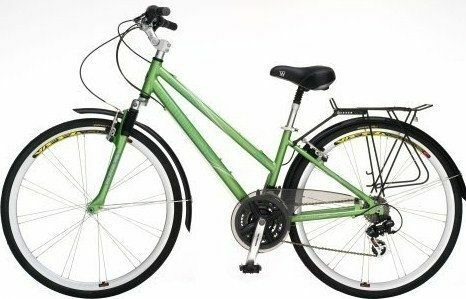 They have gone on to become one of the top rated hybrid bicycles for women and one of the lightest in its class whilst maintaining a style that is most like roadster. Of course this versatile cycle does solve the issue of conflicting requirements, but in doing so creates another potential dilemma in the form of the many sub-types within the category. When it comes to creating it, there is no set prerequisite in terms of what aspects to combine or the overall specification, the possibilities are endless. It’s for this very reason that knowing exactly what sub-categories are available is so important, it all comes down to your specific needs. This is an area where the it really excels, offering a viable alternative to city dwellers and commuters, whose main goal is to simply get from A to B. With this being the case the commuter has been simplified to an even greater extent than its counterparts. With a utilitarian frame, simple gears and basic cantilever style brakes, city bicycles serve a functional purpose. It’s not all ‘less is more’ though, for all the reductions, there are some models which come with additional features, such as panniers, baskets and enclosed chain guards, perfect for city life. The city bicycle is optimized further, with features designed to withstand all the obstacles urban riding can throw at them. 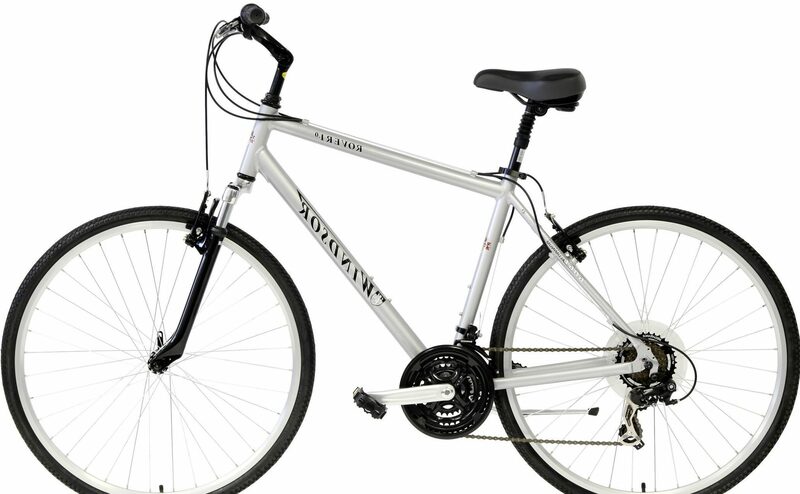 Similar in overall design and functionality to the commuter bicycle, it features a slightly smaller wheel size, akin to the mountain in more ways than one, as it also features a stronger frame and similar gear / brake setup. This is rounded off with heavy duty tyres and a wealth of accessories, catering to the hectic day do day lifestyle of the city. For those familiar with the hard-core sport of cyclocross, the cross bears many similarities. With a cyclo-cross bike essentially being a road option, fitted out with mountain bike features making it adept on the trails and the road. Although the cross too features many road cycle characteristics like its agile frame for example, however the areas influenced by the mountain is where it really comes into its own. Packed with useful features like high clearance cantilever brakes and high ratio gear sets, some high end bikes even feature uprated disc brakes. Another major difference between cyclo-cross and cross bicycles is the heightened level of comfort; typically with flat handlebars and shortened top bar, this is an important factor when it comes to riding off-road, which is certainly what crossers are better suited to. You will see them with dropped handlebars from time to time also. 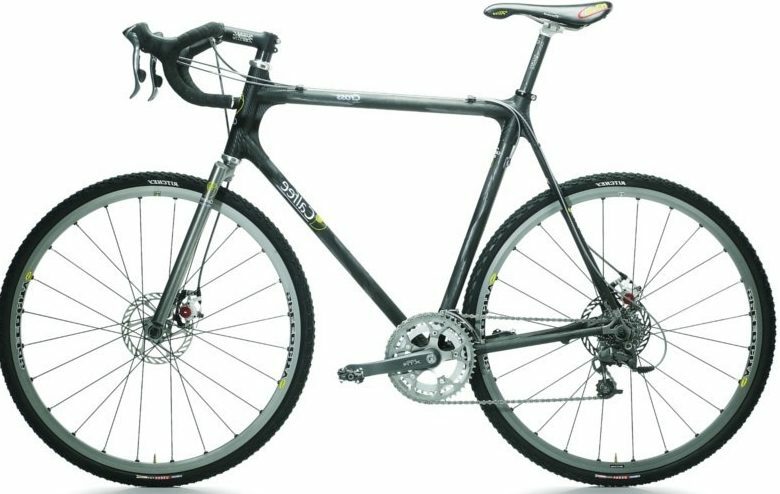 For consumers looking for something closer to a mountain bike in functionality and a road bike in power and speed, then look no further than the crosser. As the name suggests comfort bicycle are all about one thing, they don’t serve any specific purpose either, unlike the other sub-categories. Comfort bikes are ideal for the casual rider, they don’t offer much in terms of performance or efficiency, but what they lack in these areas they more than make up for in comfort and style. Generally equipped with smaller 26in wheels to offer an optimum ride, they are available in a variety of different styles; most notable are the multifaceted frames and the roadster like handlebars. If you need something for short journeys, whether it’s for leisure or running errands and you want to do it in style, then a comfort bicycle is definitely for you. As they rise to power and gathered momentum, the majority of the big, established brands followed suit and started producing their own bikes. Using the same fundamental principles and applying their own unique design ideas and differing styles, the market has a bicycle to cater for all tastes. The following is just a small percentage of the vast range of bikes on the market today, as can be seen, the varying attributes and specifications offered by each brand results in a diverse marketplace, catering for a range of cyclers. Recognized as being at the forefront of the bicycle category, Specialized’s Sirrus line leads the way in design and innovation. The Sirrus features a heavy duty frame in a variety of materials, from aluminium to lightweight carbon fibre; combining all the parts of a mountain bike into the larger size and power of a road bicycle, a fine example of a high performance model. With a great selection of low and high end models available, each with differing specifications, the Sirrus line from Specialized varies from your everyday to top end and competition level. 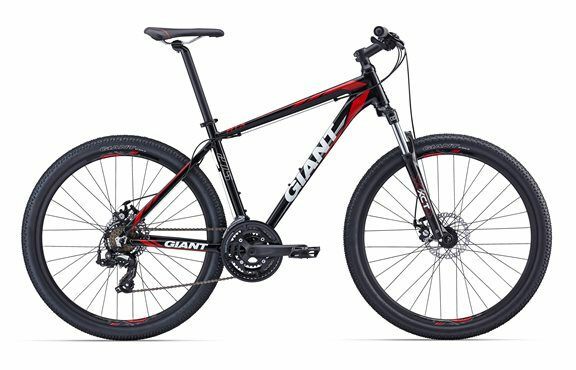 If its commuter or city bikes that appeal to you, then the range of offered by Giant may be your ideal choice. The main draw within the Giant range is there practicality and functionality, this may sound like an easy thing to achieve, however the clever design and simplistic approach to creating these hybrid bikes has ensured they’re a firm favourite among commuters. Although simple in design, the build and component quality is outstanding, giving consumers real value for money. 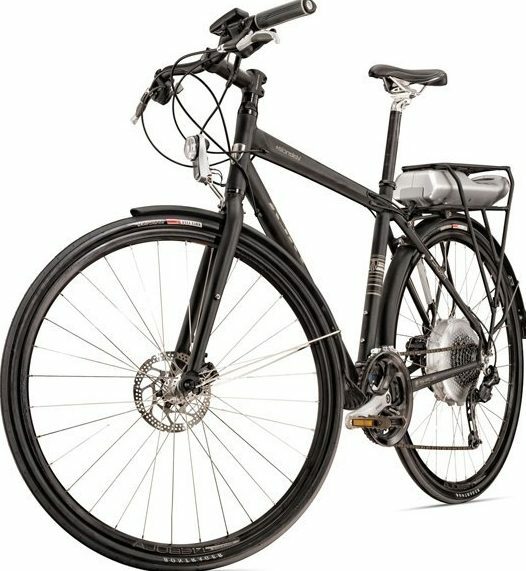 Some of the leading examples of this are the Roam and Escape models, one thing instantly noticeable about these bikes and all the other models within the Giant range is the numeric suffix used at the end of each model, this signifies the difference in respective quality, just think of it as basic, mid-range and top end. For bicycle enthusiasts perhaps Kona’s not a name you would associate with anything other than heavy duty mountain bicycle. After all Kona have made a name for themselves amongst consumers for being a quality, mid-range out and out mountain manufacturer. However fans of the brand will be happy to learn that their models retain many of the same features that make them so appealing. Although the frame doesn’t need to withstand the same amount of stress it still features the same iconic shape, the laid back riding stance and the attractive design whilst adapting some of its features to produce a highly responsive and agile, offering a point of difference compared to other brands within the marketplace. With the varied sub-categories and brands, it’s essential to do your research before buying, although that’s not to say that by purchasing any hybrid, it would not fulfil your needs. On the contrary this is why they were created, to serve as a general purpose, however it is important to research to ensure that what you buy is tailored to you. After all it’s all these little nuances that can make a good bike great! Your height is a great way to ascertain the right size frame for you, measure yourself (without shoes!) and use that figure along with a fame chart to get the most suitable fitting frame. Although the ape index sounds confusing it’s actually really simple. Stand with your arms abreast and outstretched, take your arm measurement and subtract that figure from our overall height, determining your reach. This is often when your height lies between two different sizes, if the figure you get is positive then go with the larger size, likewise if you end up with a negative figure go with the smaller size. This is the final factor to at least be aware of, normally the two methods above will ensure you have adequate clearance whilst jumping on and off, however if you have an uncommon leg measurement it may be worth checking. To check simply measure your inside leg, with around 1 – 2 inches clearance is required. Unlike road bikes, the frame is measured in inches, so ensure when using any of the above methods always translate the figures to inches! Ask yourself – which applies to my specific needs?Read our comprehensive hybrid bike reviews.Ensure the frame size is right for you. Why Choose This Type Of Bike? Mountain and road bicycles will always have their place within the cycling community, if you’re just going to use it for off-roading then buy a mountain bike, likewise if you’re only going to be cycling on smooth tarmac, buy a road bike. For the majority of users though, the ones that don’t want to specialize solely in one area and get the most out it, there can only be one choice; the hybrid bicycle. Many companies are opted into the cycle to work scheme. This way the you can take advantage of the reduced rate through the company. The company pays the reduced rate for the bike. Then you pay it off through your tax on your salary. Halfords and many other high street bike retailers also offer finance options. Its by far the most versatile and functionally adept option on the market today. Unlike other genres it isn’t confined to its own market sector, it possesses many of the qualities that make other genres so appealing, competing across all market sectors and offering consumers the opportunity to own just one for any conceivable purpose. This multi-functionality is one of the main benefits, but what if you’re looking for a specific use, should you still consider it? We certainly think so, but don’t take our word for it, read on and discover how it faces off against the very finest the cycling world has to offer! These are designed with one overriding objective in mind – speed. The lightweight frame, range of gears and large narrow wheels all attribute to achieving the most optimum speed possible. In fact some are made from lighter substrates than their road bicycle counterparts, such as carbon fibre, making up for the additional features that can add additional weight. With this in mind a hybrid bicycle performance can still match that of a road bike whilst also serving for a variety of other purposes. Although speed is a big part of the road psyche, due to the amount of time riders tend to spend in the saddle it’s also important to consider comfort. Traditionally the stance of a road option with their low handlebars, equal to the height of the saddle allows riders the optimum riding position, the hybrid differs slightly, ensuring an ergonomically enhanced, comfortable riding experience. This of course does have a marginal effect on the maximum speed, however unless you’re competing at amateur or professional level competitions the impact is minimal. As we have established it can more than meet all the requirements of a road bicycle, sharing many of its major traits, such as large 700c wheels and a lightweight frame. There are many more attributes that set it apart from the road bike such as wider knobbly tyres, efficient frame/riding setup and even in some cases disc brakes, which all work in tandem to create an enhanced riding experience. If you’re passionate about the vehicle it’s hard not to get excited by the elegant looking Fixie. The fixed gear bicycle (shortened to Fixie), is a single speed, renowned for its stripped back looks and simplistic style. The Fixie is as simple as you can get, with many ‘common’ feature missing from the frame, with some cyclists even going so far as removing essentials such as brakes, (to avoid any unsightly cables) all in the name of achieving a clean stylish look! The Downsides to a Fixie are numerous though, you may look cool however sometimes it pays to put practicality ahead of style. For starters, as its single speed there’s no free-wheel which means as long as the wheels are turning it requires constant peddling! Combine this with the removal of some essential parts that are on most for a very good reason and you begin to realize that the Fixie’s simply not practical. Although some riders choose a Fixie for the challenge riding one presents, the majority ultimately choose it for its visual appeal. You can still get an element of Fixie like style, whilst also benefiting from all the essential components that make them efficient, safe and reliable. 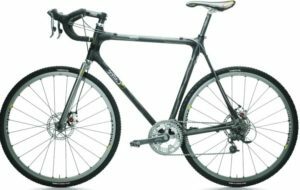 You only need to look as far as popular bike brands from the likes of Giant, Scott or Trek, particularly the higher end of the market, to see that it is possible to have the best aspects of both. The rugged mountain bicycle is as tough as they come and with good reason too, the amount of punishment it’s required to take and the challenging terrain it needs to traverse results in a bicycle with a heavy duty frame, durable parts, excellent handling and knobbly hard wearing tyres. Matching these features and that of the road bike, were the very principles upon which it was created, so you won’t find them lacking in any of these areas. On the contrary the additional features even give the hybrid the upper hand over its conventional counterpart, such as the high gear ratio, lighter frame and ergonomic riding position which allows it to excel on and off the track. Only serious mountain bikers use a them to their fullest extents, pushing the frame and suspension to their upper limits over jumps and drop-off’s at high speed, for this it’s perfect. For moderate off road use however, this is the way to go, it can still tackle the rigors that the average trail can throw at it, whilst also benefiting from the road bike like qualities it offers. After all why compromise by buying a bicycle that only has one end use when a hybrid could more than meet your needs and offers a nice degree of versatility too? For those not familiar with Cyclocross it consists of competitors riding and running across a multitude of different terrains, many of them hazardous by normal riding standards. For areas too difficult to handle the only option is to shoulder the bicycle and run across the tough terrain, so needless to say the weight of the bike is an important factor to consider. The best for the job is undoubtedly a hybrid bike, with their unique mix of road and mountain bike, they pack all the critical features needed to succeed at what is a brutally challenging sport. As mentioned it needs to be as light and quick as possible whilst also having the grip and strength to handle the tricky conditions, these are all qualities unique to the this cycle. As Cyclocross has enjoyed a rise in popularity in recent years so too has the variety and brands available to the consumer. Fuelled by demand the Cyclocross has undergone an innovative evolution with rival manufacturers all vying to create the best, the result is what can only be described as the ultimate! By taking all the characteristics that make this bicycle so appealing and pushing them to the uppermost limits, the Cyclocross is a hybrid at its core. The Cruiser is another great example of style over substance, even if you’re not an enthusiast it’s hard not to take notice when a Cruiser rides by. Inspired by the motorbikes of the same name, these feature a laid back riding position and come packed with stylish features guaranteed to turn heads! Although they give of an effortlessly cool vibe, when it comes down to actually riding a Cruiser or using them for any other purpose than a quick foray around the locality, certain issues start to become apparent. Aptly named, the Cruiser will only do just that – cruise. The chunky frame and relaxed riding position do not lend themselves well when it comes to travelling any great distance. Due to their design the Cruiser often comes equipped with only a single speed and as mentioned previously will have the same issues that are associated with the Fixie. The good news is, brands and manufacturers have risen to the challenge, with big brands like Schwinn or Raleigh, who incidentally helped the Cruiser shoot to fame with the Chopper, leading the way. This demonstrates exactly what it is that hybrid bikes are great at, retaining the features of the iconic Cruiser whilst ensuring the fundamental features are still present, resulting in a cruiser not only looks good but functions too. A city bike is precisely as the name suggests, a vehicle apt at weaving it way through pedestrians and traffic, perfectly balanced and efficient to operate. Often used by commuters travelling to and from their workplace the main areas of focus on a city bike are efficiency, practicality and reliability. With this in mind the city is well suited for urban riding, sporting all the features you’d expect like. In ideal conditions the City bike is good at what it does however it’s difficult to account for all eventualities, such as difficult weather conditions like snow and the various obstacles that often litter cities like potholes or broken glass. To take on any of these scenarios the City bike would invariably struggle, which is where the hybrid comes in. Just as adept at riding through towns and cities with its large wheels and efficient yet comfortable ride its also designed to adapt to changing conditions, so when the going gets tough the hybrid can handle any given situation. This is in part down to the features borrowed from the mountain bike such as the hard wearing grip-filled tyres and robust build quality. Putting all that to one side and the hybrid will still perform the same tasks to the same level of efficiency, practicality and reliability as the city. In the middle ground between the multi-purpose, efficient and the heavy framed but ironically stylish cruiser sits the comfort bicycle. Renowned for its comfortable ride, smaller wheel size and laid bike riding stance the comfort bicycle is ideal for casual journeys over short distances, offering riders optimum comfort at the cost of sacrificing speed and efficiency. It would be all too easy to point out the many advantages the hybrid has over this style however focusing more so on its demographic, it also ironically has the upper hand when it comes to comfort too. It all comes down to simple ergonomics, on shorter jaunts around town or running errands then the comfort bike is, as the name suggests, comfortable. For anything longer however the amount of effort needed to power begins to outweigh the comfort factor. The distance between the seat, pedals and handlebars make for ergonomically balanced riding position, which whilst it may not be the most comfortable, certainly won’t cause the major discomfort associated with comfort bicycles on long journeys. In recent years folding bikes have rapidly increased in popularity, which has led to a number of different genres taking on the format. The folding bicycle is far from a new concept however thanks to busy commuters and travellers they are enjoying a modern day renaissance. The main draw of a folding bike is of course its compactness allowing users to carry it with ease, but how does it measure up in terms of functionality? Due to the nature of the folder it features many adjustable components, working to a one size fits all philosophy, this adjustability is key to achieving a suitably sized ride for all users. When it comes down to size however there is a downside, namely the wheels which can be as small as 16”! The folding bike is simply a format though, which in reality it can be applied to any, so if you like the idea of a portable option, fully adjustable and of course with full size 26” wheels, just check out the ranges of from big brand names like Cannondale or Montague. The touring bicycle has a lot in common with a road bike; just take its large 700c wheels, dropped handlebars and racing style geometry on the frame for instance. However there are many differences that set the two apart, the most obvious and visible difference of course being the pannier racks and straps that are present right across the frame; these are often put to good use, storing essential gear on long journeys.If the tourer is regarded as similar in style to a road bicycle then it should definitely be considered as similar in functionality. Tourers often combine elements of other bikes just as the hybrid does, which makes perfect sense given the purpose of this type is to adventure and explore. 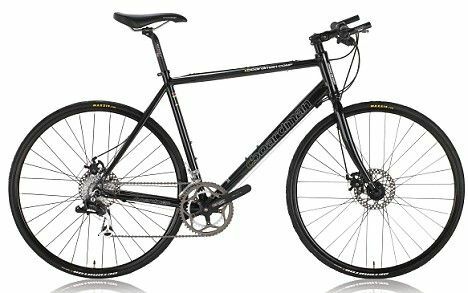 Another similarity is that there’s no real ‘standard’ set up, some are more akin to Road bikes however some feature 26” wheels with rugged mountain bicycle components widely evident, there’s even small 16” wheeled folding bikes available for touring purposes. A touring bike is essentially whatever you make it and what could be better than a hybrid cycle set up for touring? As it infiltrates different areas, the ranges offered under the hybrid genre have started to become much more expansive. Many big brands are recognizing the strengths and fundamental benefits of them and applying those principles to different bicycle sectors, creating perfectly balanced bikes that enjoy the best of both worlds. The inescapable truth is that the biking world as we know it is changing and for the better too, largely thanks to the innovation and superiority of this bicycle.